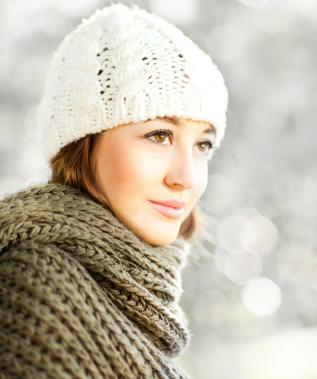 As temperatures begin to drop and get colder, your skin needs special care and attention. There are simple updates to your beauty routine that can make all the difference and keep your skin protected when it needs it the most. When it comes to following a skincare regimen best suited to your skin type, you probably think first and foremost about products. This is not at all surprising, since skincare products are formulated to provide some sort of benefit or perform a specific function to treat, protect or care for the skin. However, winter skincare requires more than just a handful of pampering products. In addition to finding the products that work best for you, you'll need to follow a few tips to ensure that the harsh weather and dry air don't do a number on your skin. 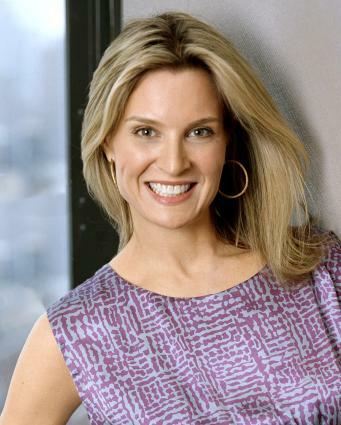 Dr. Elizabeth K. Hale, Clinical Associate Professor of Dermatology at New York University School of Medicine and consultant to Coppertone, shares some helpful winter skincare tips. She tells her patients that "a good skincare routine involves using sunscreen and moisturizing skin daily." She adds," I can't stress enough that sun protection is essential every day, regardless of the season. Because the basics of skincare apply year-round, simple modifications can help you transition to an appropriate routine for winter." During the winter months, Dr. Hale notes that "lower humidity and colder weather can make skin more prone to drying out." She adds, "That's why I recommend incorporating a heavier moisturizer into your nighttime beauty routine." Moisturizer selection: Dr. Hale recommends choosing a heavier moisturizer for winter. She states that "During the summer, my patients typically use a lightweight lotion or cream at night, but because skin can dry out more easily in winter, opt for something with a thicker texture." Body Lotion: Dr.Hale says to look for body moisturizers with "an ingredient called ceramide." She notes that "ceramide is naturally found in the skin and helps it to retain moisture." Facial Moisturizer: According to Dr. Hale, "the latest trend in facial moisturizer is hyaluronic acid" She adds that "this helps to hydrate skin by pulling in water to plump up dehydrated areas. This ingredient is commonly used in cosmetic fillers, but is increasingly being incorporated into face products." Lip Products: Dr. Hale notes that "cracked, dry lips not only look unsightly, but can also be painful. There are a lot of great moisturizing products available, but I advise my patients to look for ones that include SPF for protection during the day." She adds, "My patients like Aquaphor with SPF for the lips when they are out and about. At night, you can follow up with something like Vaseline to help moisturize. It's also important to ensure that you are hydrating from the inside out. Make sure to drink plenty of water as the lips are one of the first places to show signs of dehydration." During the the winter months, a hot shower can dry out the skin. Instead, try taking quick, warm or even lukewarm showers. While a soak in a steaming bath may feel great at the moment, it does you no favors in the long run. Dry skin can become itchy. Dr. Hale notes, "For itchy skin, I recommend the tried and true advice: oatmeal baths." She says that "Most drugstores now have products that make it very easy to enjoy an oatmeal bath at home and soothe skin." Dr. Hale also states, "Although this seems to go against convention wisdom, do not overdo your use of soap. Soap can be very drying. Since you are not sweating as much in the winter, you don't necessarily need to lather up." She suggests to "use soap more sparingly in winter months, and try to reserve for areas that sweat most, like underneath your arms." Dr. Hale emphasizes, "Be sure to moisturize your entire body during the winter, especially after bathing or showering since the moisturizer can help lock in water." All that hot air from heat can cause immense dryness to the skin. Place small humidifiers in various areas of your home. They'll infuse the air with moisture and keep your skin more supple. All of the toners, astringents, scrubs and masks you're so fond of can take a backseat during the winter. This is important if your skin is particularly sensitive in cold weather. They strip moisture from the skin and can contribute to your discomfort. Use thick, creamy cleansers if your skin is regularly dry or a foaming gel if your skin is oily. Dr. Hale notes that "many of the ingredients used for anti-aging purposes may have drying effects." She states, "For example, a lot of women like products with retinol, but it can really dry out the skin. Someone who could tolerate retinol every night in the summer may need to cut down to every other night in the winter." She further adds that "Alpha hydroxy acids and any acids, for that matter, can also be very drying to the skin, so be sure to use more conservatively." Despite popular opinion, sunscreen is important no matter what time of year it is. Dr. Hale notes that "A broad spectrum sunscreen is a must-have beauty product for any season since ultraviolet rays continue to penetrate through clouds." She adds that "for winter months, I like a gentle, lightweight option such as Coppertone Oil Free Faces Sunscreen Lotion SPF 30." If you begin to suffer serious discomfort and can't find relief from over-the-counter products, you may be suffering from eczema. A dermatologist can lead you in the right direction and prescribe you a treatment that will make a difference. Dr. Hale advises, "People should see a dermatologist at least once a year for an annual skin exam." She adds that "Winter is actually a good time to schedule an appointment since it is easier to check for moles on skin that is not suntanned." She further states that "even if someone is following an appropriate skincare routine, it is still possible for eczema to worsen as skin becomes increasingly dried out during the winter." Dr.Hale notes "The itchy rash from eczema can be very uncomfortable for patients, but a prescription cream can help soothe skin."